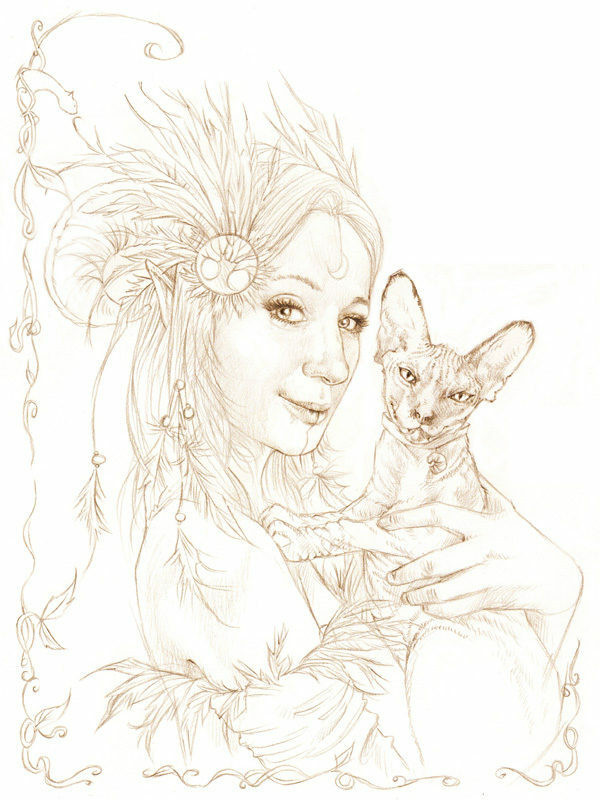 A Celtic Shaman and her Sphinx Cat, Mr. Bones! My latest themed portrait, created using Derwent Van Dyke Brown colouring pencil. I never cease to be amazed at the requests I get. I have created Lion Kings, faeries, children as Peter Pan (with faery), Jungle Book characters, pirates, Steampunk in full mechanical regalia, and even a Game of Thrones inspired portrait! What next? I wonder…? Freelance Artist / Illustrator (Traditional and Digital). A professional illustrator for many years, working with publishers, self publishers, editorial, advertising, museums, … Show more. Send a message directly to Lyn Stone. ““Lyn was wonderful to work with, very professional and timely with a fabulous quality to her work. Should the right project arise, I would jump at the chance to work with her again”. 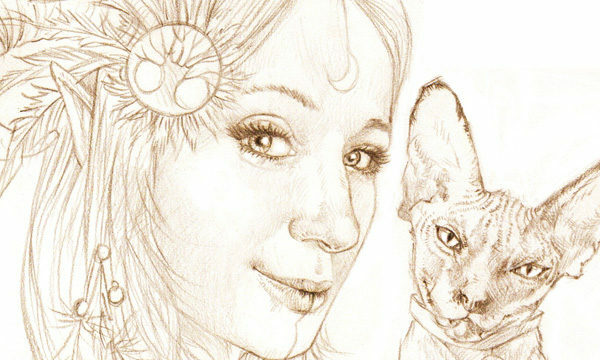 Freelance Artist / Illustrator (Traditional and Digital). A professional illustrator for many years, working with publishers, self publishers, editorial, advertising, museums, theatres, and even a pub (no pint pulling involved!). I have created original illustrations for children's fiction (fiction, reference and educational), adult fiction, editorial, theme parks, and even lingerie! I have quite a lot of experience illustrating reading guides and so am familiar with the tight budgets that educational publishers have. If you cannot find what you are looking for but like my style, please do not hesitate to contact me. I may very well have exactly what you are looking for hidden away in my studio!